Sorry - this item is currently out of stock. 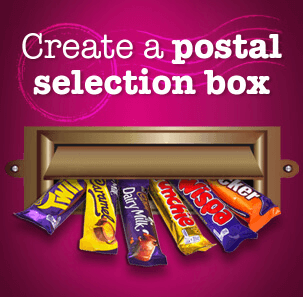 The Cadbury Medium Freddo Selection Box is filled with seven treat-size Cadbury favourites; Dairy Milk, Freddo Popping Candy, Chomp, Dairy Milk Freddo, Curly Wurly, Cadbury Fudge. 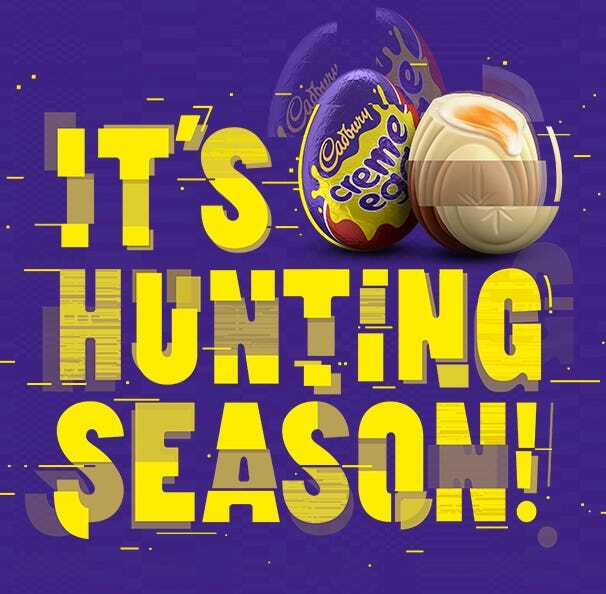 Give Joy with a Cadbury Selection box in a Christmas stocking! 1 x Cadbury Medium Freddo Selection Box 139g: 7 x treatsize Cadbury favourites; Dairy Milk, Freddo Popping Candy, Chomp, Dairy Milk Freddo, Curly Wurly, Cadbury Fudge. Contains Milk. May Contain Nuts, Wheat. 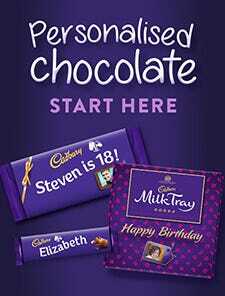 A great selection of Freddo chocolate treats. 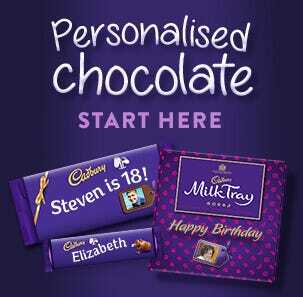 Chocolate Chunks taste great in the mouth but now you can enjoy them in your ‘wallet’ too! and these Chocolate Chunks are guaranteed never to melt. 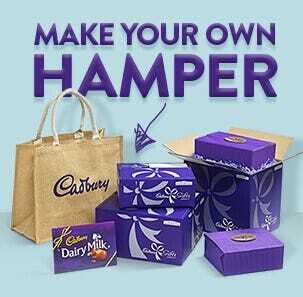 Chocolate Chunks are special rewards that we give registered users whenever you make purchases on Cadbury Gifts Direct and Cadbury Gifts Direct for Business. 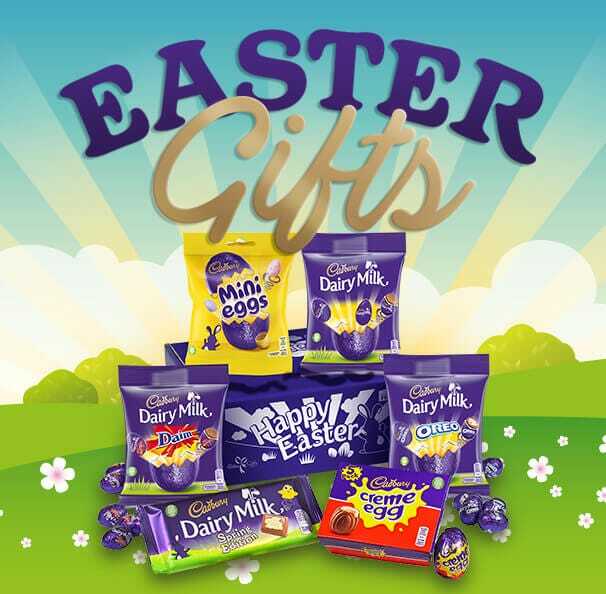 Chunks can be saved up and put towards future purchases made on Cadbury Gifts Direct and Cadbury Gifts Direct for Business. They can be used in full or as part-payment and make a real difference to the price you pay. Chunks can't be exchanged for cash - sorry. 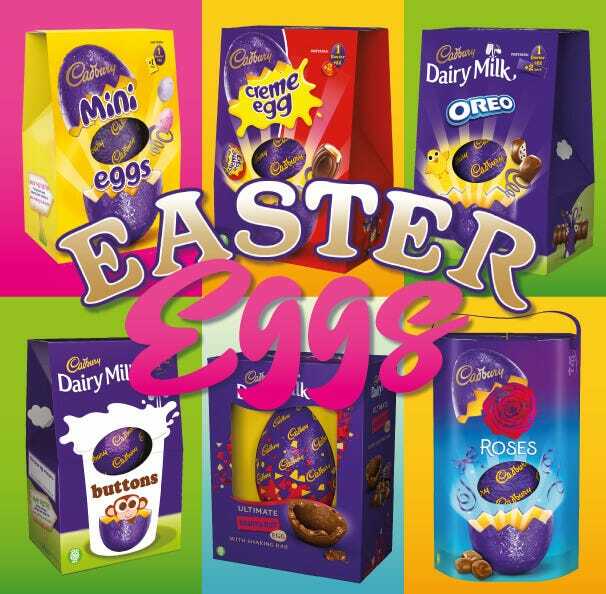 Each Chocolate Chunk has a value of 1p and we'll give you a new one every time you spend £1 (excludes carriage costs) so for instance if you buy one of our delicious Cadbury Treasure boxes for £10 we'll give you 10 brand, spanking new Chunks. Now and again we’ll be splurging Chunks to award multiple Chunks for purchases so that you wallet grows in value quicker. We'll also give you Chunks for registering with us and signing up to receive emails and other promotions.